How is the rental amount determined? What are policies regarding animals? How much does eviction cost? Can I leave my personal property at the rental property? Should I consider a short-term lease? Why do I need to add Western Property Management, Inc. to my hazard insurance policy as an additional insured? Why isn’t listing Western Property Management, Inc. as additional/insurable interest enough? Why should I give you reserve money? How do I get my owner’s reports/statements? Will you pay my mortgage, HOA dues, hazard insurance, property taxes, or other related property bills? Do you sell homes too? Can I sell my rental while tenants still occupy the property? The current rent does not cover my mortgage and/or other expenses. Why can’t you dip into the tenant’s security deposit to pay rent? I have a mortgage to pay. I already have an existing tenant. Will you manage the property? The fee depends on the property we are requested to manage. We are a full service management company focusing on quality and as a result charge accordingly. Yes, a small 1 time fee to setup. We have developed an effective marketing plan that is included in our management fee. If for some reason we need to deviate from our marketing plan then we do charge for that. Yes, as a part of our management services we do yearly inspections at no charge. We also do inspections when conditions warrant. Owners are welcome to accompany Western Property Management, Inc. to do inspections but not able to do inspections on their own. We do like owners to visit their property during vacant periods, so they can look and plan for capital improvements. Western Property Management, Inc. provides all tenant screening. If you have someone interested you are welcome to send them our way so we can process according to Fair Housing standards, and make sure they meet our standards. The market is the best place to determine the rental amount due to changes from time to time with vacancy factors and competition. Tenant quality also plays a role in rental amount, as low quality tenants are willing to pay more. We market properties across multiple platforms i.e. Facebook, Craigslist, billingsrental.com, freerentalfinder.com, billings gazette. The owner chooses if animals are allowed or not, with the exception of qualified service or support animals. No, this would be in violation of Fair Housing Law. Yes, you can refuse smokers. We do not allow smoking in any of our units or on the premises, and let tenants know if they violate they may be subject to repainting or repairs caused by their negligence. Legal notices are sent for non-payment. Our rents are due on the 1st and late after the 5th day. Late fees are charges after the 5th day and tenants will be contacted. At this time a simple eviction costs about $700.00 to start the process. Montana Law only allows the owner or an attorney to do an eviction. As a full service company we have maintenance staff that is on call 24/7. Also, one of our managers are available to handle issues beyond the scope of maintenance personnel. Tenant damages are charged to the tenant; otherwise if the amount is below our authorized limit we take care of it. If cost exceeds our limit we require owner authorization and get bids and communicate with the owner. Generally yes, if they are not tenant expense. We do allow owners to make improvements and upgrades when the property is vacant. The tenant’s security deposit is used for repairs, to limit this we work diligently to seek tenants that we believe we can hold accountable. We also require tenants to carry renters insurance. We do not advise this situation unless it is required for maintenance, or your willingness to experience potential loss. Also it would have to be valued/depreciated life for reimbursement. Our leases generally are annual, but we do adjust to avoid move-out in the coldest winter months. Sometimes a shorter term lease works for all parties involved. When those situations arise we will let you know. Our legal counsel has advised us to do so as well as our insurers due to litigation practices. We are responsible to care for your property. We need to be able to pay vendors timely without waiting for rent to come in and check to clear. Our management agreement states: OWNER disbursements are made after the bank has cleared rental deposits and are made between the 20th day of the month and the 25th day of the month (may vary with holidays). Reports, statements and any documents related to your property will be sent via your owner portal. Western Property Management, Inc. encourages ACH for fund dispersement. (Electronic transfer saves time and does not need time for checks to clear). Western Property Management will not pay your mortgage. 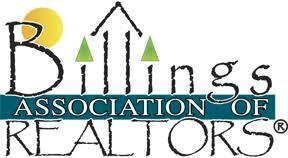 We can pay HOA dues, insurance & taxes when requested and if funds are available. Yes, our sister company & owners have been helping buyers/sellers for over 40 years. If you already have an agent we encourage you to contact them. It is possible to sell subject to tenant’s right to occupy the unit until their lease ends. The market rent changes based upon supply/demand and economic factors. Usually principle reductions of payments help build wealth even when cash flow is limited. Security Deposits are held in a separate account for the tenant until move out. These funds are solely for the tenant damages and cleaning. The law does not allow access unless due for the purpose that it was intended. We first need to look at the property to determine our stewardship responsibilities. Then we need to meet the owner to make sure we are a fit for your management needs.